"This is just another Filipino culture that goes in 4 ways - arts, economy, religion and tradition..."
The Philipppines is probably the nation in Asia that celebrates Holy Week the most extensive way. 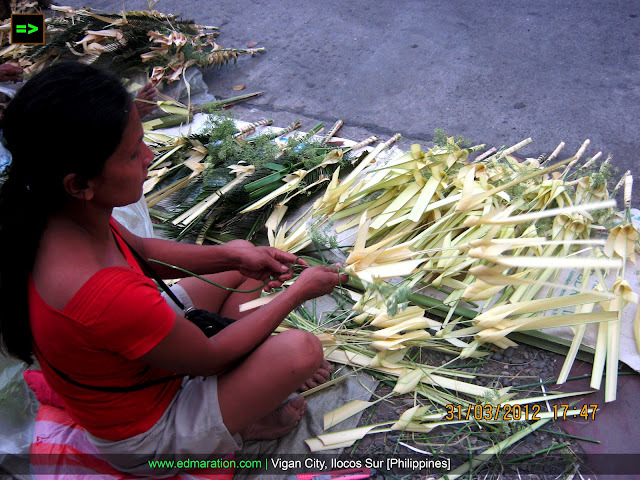 During Holy Week in the Philippines, there are just arts and crafts that become an industry whenever the Season comes. 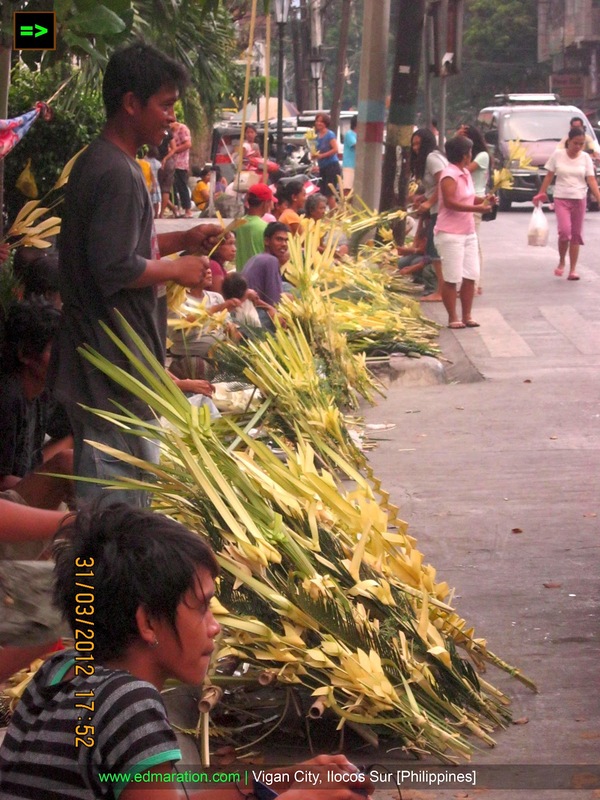 Palaspas is a decorative palm fronds and it is an important seasonal commodity that Filipinos buy from the weavers to start the Holy Week which falls on a Palm Sunday. These pieces of palaspas are being woven by people who are coming from one community. 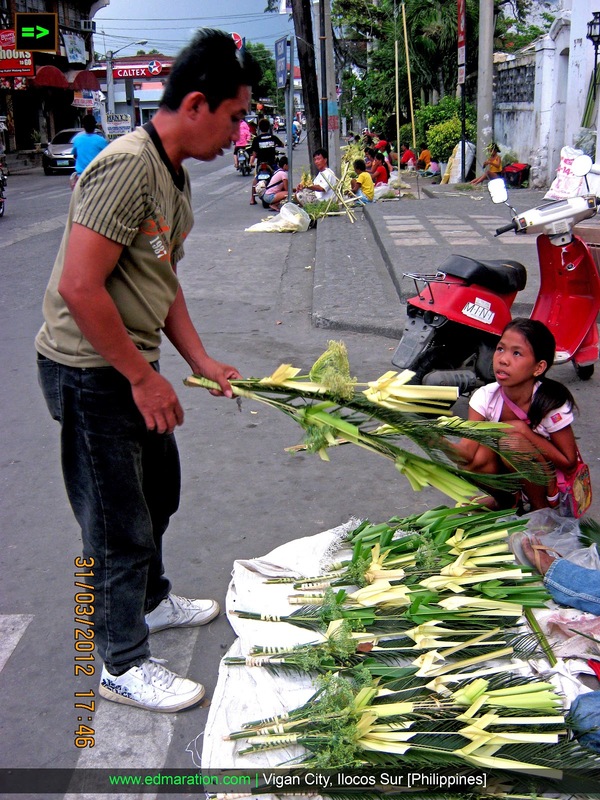 They live in a place rich in a type of palm tree locally called as silag or buri and contrary to what others have usually known, they do not use coconut leaves. The weavers all came from the town of San Juan in Ilocos Sur. 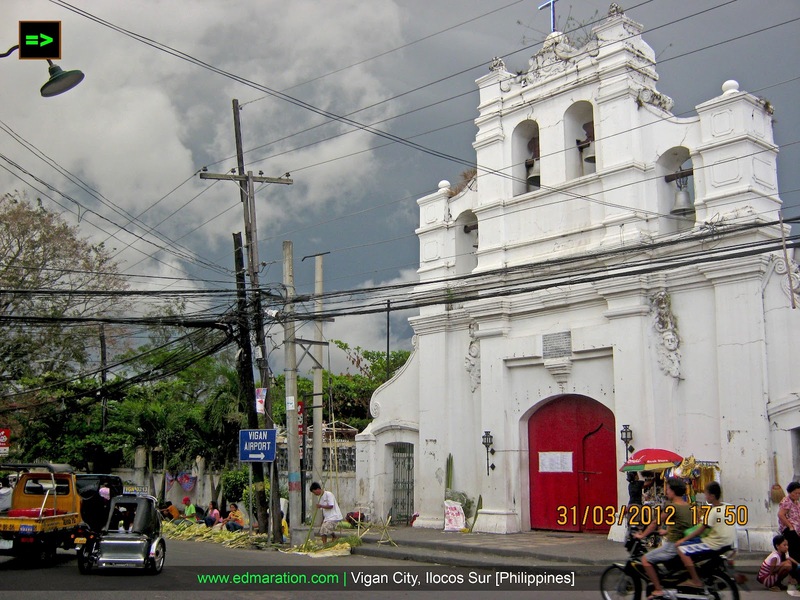 The whole Roman Catholic community is doing this Holy Week culture and I am just featuring one city which is notable in the Philippines for celebrating the Holy Week deeply and extensively which is Vigan City in the province of Ilocos Sur. They all gather at the corner of Liberation Boulevard and Jse Singson Street. 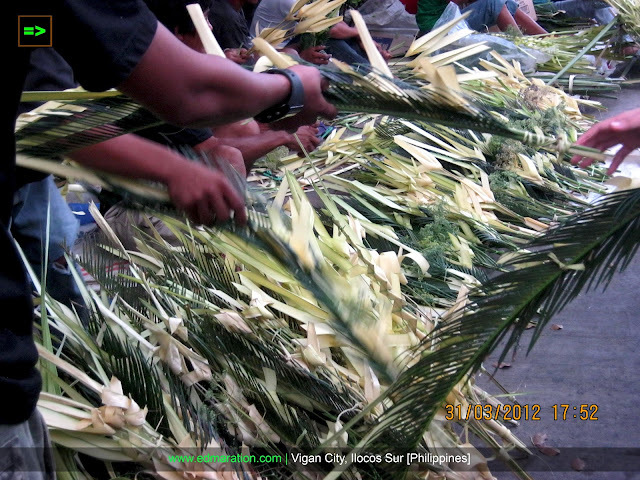 Palaspas is brought by the Roman Catholic devotees to the church to be blessed as part of the Palm Sunday mass. As the priest enters the church, the people wave their palaspas in commemoration of Jesus Christ's entry to Jerusalem. 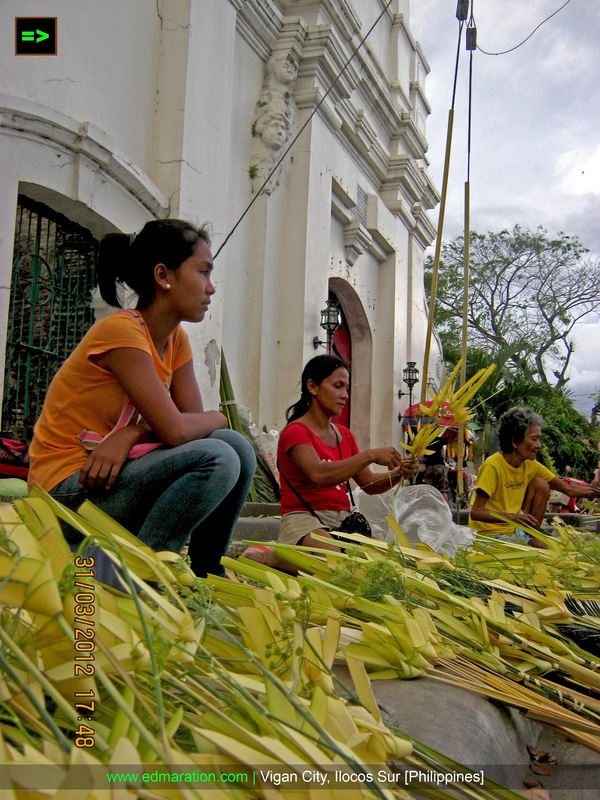 However, right before Roman Catholicism was brought by the Spaniards to the Philippines, the Filipinos have been using palaspas and the origin of the Palm Sunday palaspas can be traced as early as the pre-Hispanic period. As a brief history about this art and craft and according to the description of the 1589 account of Fray Juan de Plasencia, the Filipinos have been long before using the "leaves of a white palm wrapped in many designs." 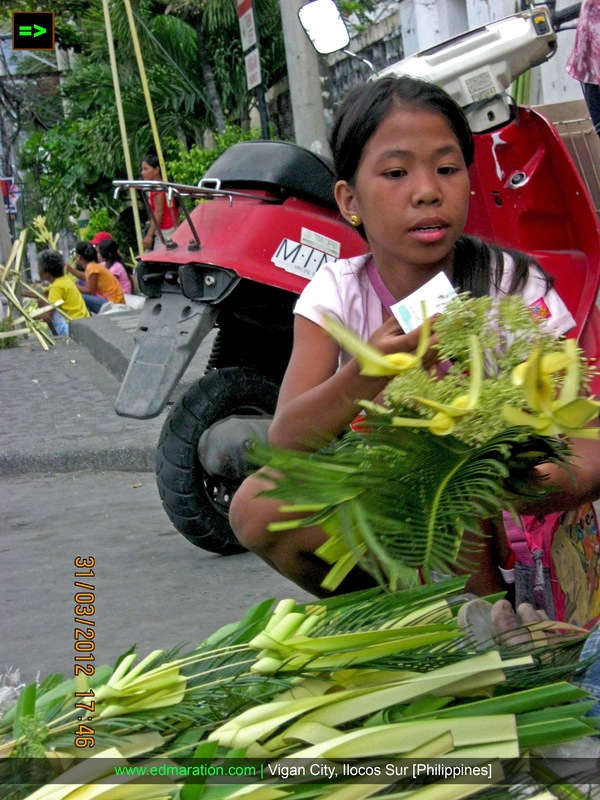 Even some non-Catholic ethnic groups in the Philippines like the Tausugs use kidlat-shaped leaves as wedding decorations. This practice was later absorbed in the Roman Catholic Faith with the palaspas used as decorative materials in fiestas in the Philippines. The palaspas-making craft has been passed from generation to generations transfering the skill to the younger ones. I was actually able to talk with the oldest palaspas-weaver in the city at the age of 74 and with her that day are her children and grandchildren who are in the same way skillful in weaving palaspas. For palaspas-weavers, this is actually a brisk business associated with the Holy Week and their creativity and skills in doing this art are unleashed. Lola Conchita, the oldest palaspas-weaver in town told me that she can earn more than a thousand peso in this Palm Sunday Trade. Lola Conchita sells her palaspas at 15 pesos each. However, some of the weaver-vendors near her can earn up to 3,000 pesos a day since their versions are much complicated, hence, the price is higher at 30 pesos. The photo above is the Simbaan a Bassit along Liberation Boulevard in Vigan City and in front of this church is a bastion of a Holy Week market with palaspas as the exclusive commodity. This is just another Filipino culture that goes in 4 ways - arts, economy, religion and tradition and for this post, it only happened in one city. 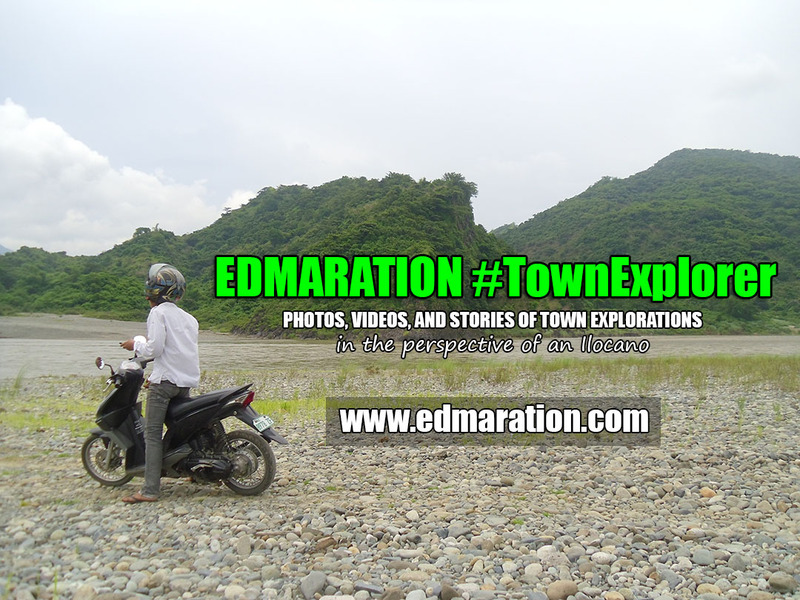 It is very exciting to know what are also happening to other Philippine cities during the Holy Week. I really miss the holy week celebration back home .tagal ko na sa abroad .I remember we always have the palaspas hanged on my mom's altar. Berryle, Filipinos can really are indeed creative and skillful. Wow. Thanks for sharing a little bit of history here. I always thought this craft was brought about by the dawn of Catholicism in the Philippines. I didn't know palm weaving was already a part of our pre-Hispanic culture. "This is just another Filipino culture that goes in 4 ways - arts, economy, religion and tradition..." - I agree. Palaspas looks so simple but it was well crafted by the artistic hands of our kababayans who trully believe in our traditions. Ibibenta and they earn from it. But the most important are the artistry and the love for our culture na naipapakita sa bawat paghabi ng Palaspas. I really appreciate your Vigan photos as you already know I've always been wanting to visit the place. truly a Filipino tradition that reminds every single PINOY of the sacrifices of JESUS and HIS painful sufferings. Itin, thank you so much, hope you could visit Vigan too soon. it's nice when we look in depth the rituals and the traditions Filipinos has been doing. tracking back and we learn why it remains. I am glad my mom teaches me how to weave palaspas. Though I am now in different Christian denomination, I will keep what I've learned as a gift from her and as an art. God bless! Thanks for providing a bit of history behind the palaspas. I didn't know Filipinos were already using them even before the Spaniards arrived. I'm very glad that even though we are saturated with so much commercialism, our traditions specially regarding religion still live on. i haven't bought palaspas in quite a long time, but it still amazes me how different woven palaspas everywhere could be. Hey Algene nice to know, what language is that by the way? Hmmm napansin mo din pala yun Main! Well thanks for reading my article about Lola Conchita!!! palm sunday! my mom used to buy these all the time. Ang galing nila no? Nakakatuwa sobra. Filipinos are really creative and hard-working. Every year I see to it that I buy palaspas. I wonder if they do this in other countries as well? Oo nga Kathy, they are indeed skillful. 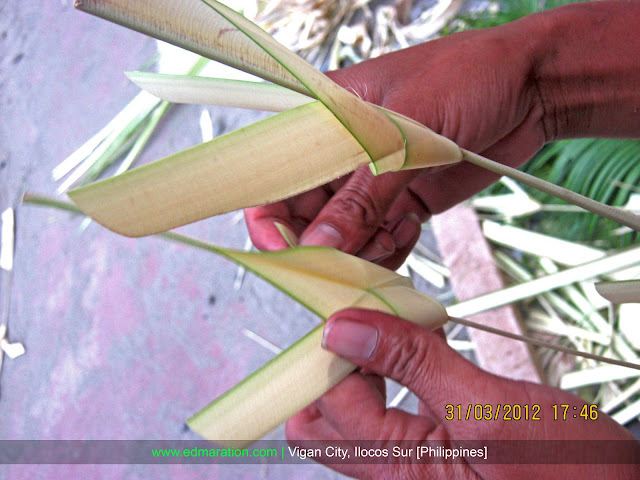 looks like you enjoyed the palm sunday in Vigan with two post about it. nice. and although i don't buy palaspas, i emphatized with the devotion of Filipinos to their craft, trade and belief! If there's one thing that I love about us Filipinos is our creativity in almost everything that we do. 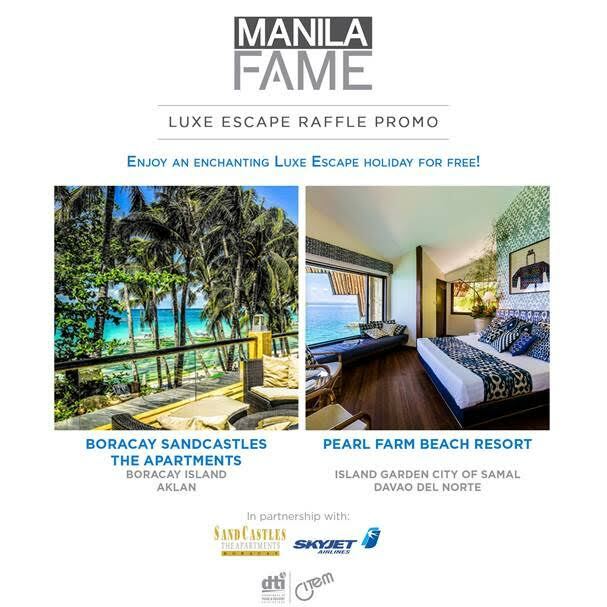 Just imagine all the designs that we've come up on how to weave those bare coconut leaves? You'll see various kinds of pattern, may cross, birds, the zigzag one, may bola pa nga eh! galing talaga ng pinoy! Mhe-Anne, Roj, sorry tinatamad na akong mag-reply hahaha.... Yep! I agree with you guys, hahahahaha! We always have palaspas on our altar when my parents are still alive. My mom even have a devotion of "pasyon" every Holy Wednesday. No she don't sing those Alleluiah but she prays with them until the wee hours of the morning. It's fantastic. I appreciate Philippines' hard work and as creativity. you explained it well.. thanks for providing this information.. all these photographs are yours? cherry, yay! Pareho lang tau haha! We always have palaspas every Lent season, and we never missed even a single year. I didn't know back then what it was for though. I thought it was just a decorative ornament for the Holy Week.